So, you’re planning on going out and buying a new reel for your fishing rod. But, should you be buying a spinning reel or a baitcasting rig? Are drag systems and gear rations necessary features? What makes ball bearings so important? These are just a few of the questions that you might be asking yourself if you’re looking to buy a new fishing reel. You’re probably well-aware that choosing the right equipment can go a long way towards ensuring your success out on the water, but what are the most important features you should really be looking for in a reel? 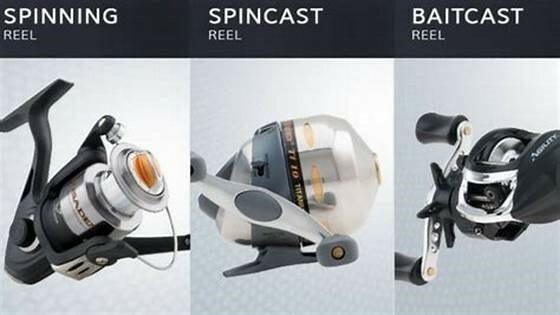 Below, we’ve put together a short guide to explain the different types of fishing reels, as well as what you should be looking for when shopping for one. If you’re interested in learning more about the latest fishing gear, check out these fishing equipment reviews at ProFishingGearReviews, where you can find more information and tips about the wonderful world of fishing. This is the most common type of reel you’ll see. It has an open-faced design, is relatively easy to use and much more accurate than other types of reels. Because of their open-face design, spinning reels are more versatile and usually have a larger line capacity. The main downside to this type of reel is that they don’t perform as well with heavier types of line. Because the spool and handle turn when you cast, baitcasting reel are the most difficult type of reel to use. Also because of this, if the spool is not kept under control, you risk turning your reel into a nasty bird’s nest that can be a real annoyance to untangle. Baitcasting reels are fairly accurate and designed for use with heavier lines. However, because they are more difficult to use, they are mostly recommended for experienced anglers. This type of reel has a fully closed face, which means all the parts are hidden inside, except for a button at the back of the reel. The button is pressed during your forward cast, which allows the line to peel out, and then when the button is released, the line will stop, and you can reel it back in. Spincast reels are not as accurate and aren’t designed for casting long distances, however, they are much easier to use and are excellent for beginners or younger fishermen. If you plan on fishing with lighter line, between 4 and 10 pound test, a spinning reel will allow you to cast much further and will also perform better. One the other hand, if you’re using heavier test line, and relatively heavy lures, then you’re better off going for a bait caster reel. For a spinning reel, we recommend looking for models that have between 3 to 5 ball bearings, which work to keep the driveshaft and gears in alignment at all times. It’s also a good idea to look for a spinning reel with an anti-reverse feature, which prevents the reel from slipping when you go to set a hook, as well as smooth performance drag washers to prevent snapping your line when fighting larger fish. Another good feature to look for on spinning reels are cold-forged spools. These are much less likely to warp or become worn, which can damage your line over time. Baitcasting reels are designed for heavier line, which makes them better for targeting larger fish. You’ll want most of the features you’d want to find on spinning reels, such as stainless-steel ball bearings, anti-reverse, and high-performance drag washers. However, the main difference is that you’ll want to look for a lightweight aluminum spool, which increases speed and will also make casting both smooth and effortless. The same goes for spincast reels, but since they are generally much cheaper rods and mostly designed for newer fishermen or children, it’s not as important to put too much thought into it. Just make sure the reel you choose has stainless steel ball bearings and doesn’t feel like it’s going to fall apart on your first cast. Regardless of the type of reel that you choose, the most important thing to remember isn’t just to choose a good reel built with quality parts, but to make sure to keep it cleaned and lubricated so that it will last you as long as possible. There are also a couple of other types of fishing reels that we haven’t mentioned above. Learn more about them here. Choosing the right reel, gear and bait will increase your chances of catching a big one so always be prepared. Happy fishing!